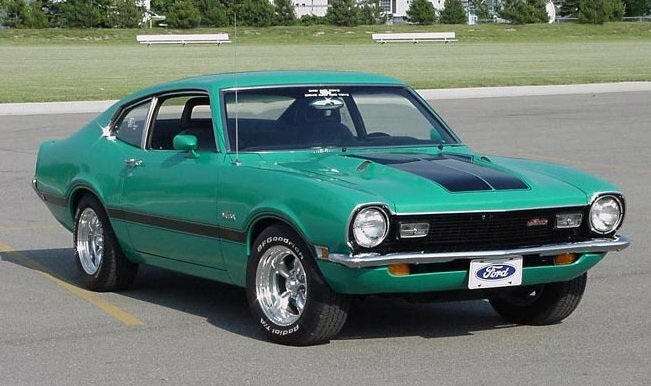 The Ford Maverick Grabber was available as a trim package for the 1970 to 1975 model years. The 1970 Grabber can be identified by the rear spoiler, blacked out paint treatment, Grabber stripes and dual sport mirrors. From 1971 – 1975, Grabbers could be identified with 62D trim designation and 93 as the third and forth digit of the VIN. The 1971 – 1972 Grabbers were the only ones that had the Grabber hood.